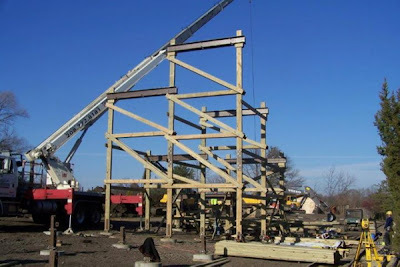 Screamscape has reported that Goliath, the new Rocky Mountian Coaster going in at Six Flags Great America in Gurnee, Illinois has finally gone vertical. Reports show that footers are in all over the coasters proposed area and the lift hill has finally gotten off the ground. It seems a bit late in the year for this to finally be gaining height, making me wonder about the opening date of the new coaster.